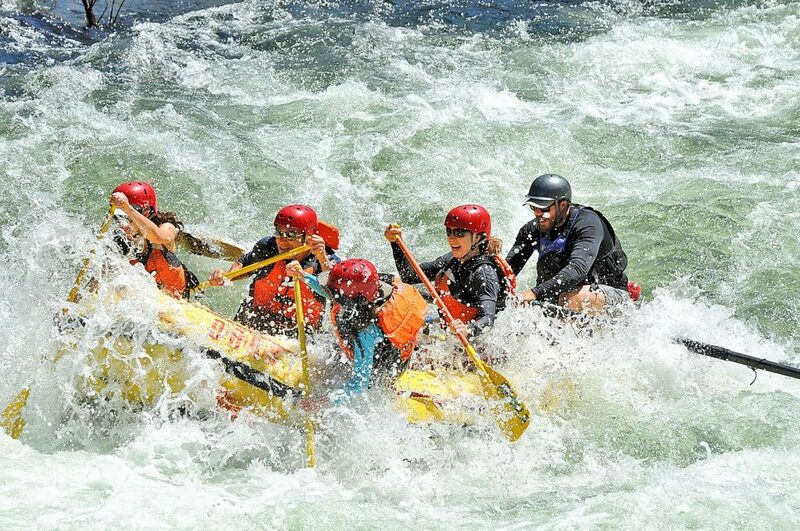 Clavey Falls, Tuolumne River – With countless stories of bad entry lines and legendary surfs in Clavey Hole, Clavey Falls on the Tuolumne River is arguably one of the most notorious rapids in the world. Well before you approach this Class IV+ rapid, you’ll hear the thundering sound of cascading water ahead. That alone is enough to get your heart pumping, so it’s no wonder that this infamous 8-foot staircase drop causes anxiety for guides no matter how many times they’ve run it. 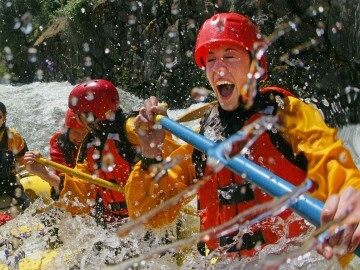 There will be only one thing going through your head when you get to the top of the falls: Stay in the boat. After all, Clavey Hole has been known to spit out paddlers as it grabs hold of boats for countless minutes. 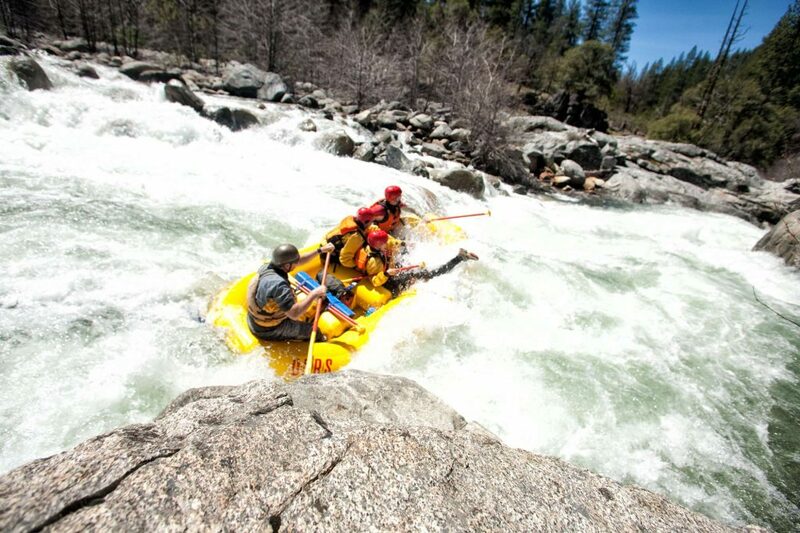 Westwall, Forks of the Kern River – There are a number of unforgettable rapids on the Wild & Scenic Forks of the Kern, but for guides, no rapid is more consequential than Class V Westwall. With a must-make move at stake—“threading the needle” between a large pour-over hole at the top and an undercut rock feature known as Whale’s Tail—it’s the kind of rapid that gives just about everyone butterflies. If you don’t make the move, you’ll likely be dealing with an 8-foot drop and potentially dangerous scenarios like underwater sieves that can trap boats. 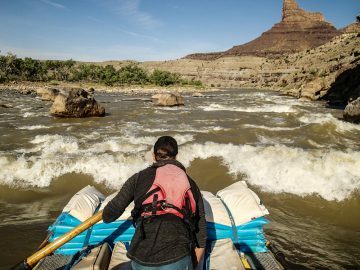 Many consider it to be one of the hardest moves on the river, hence, it’s notoriety. 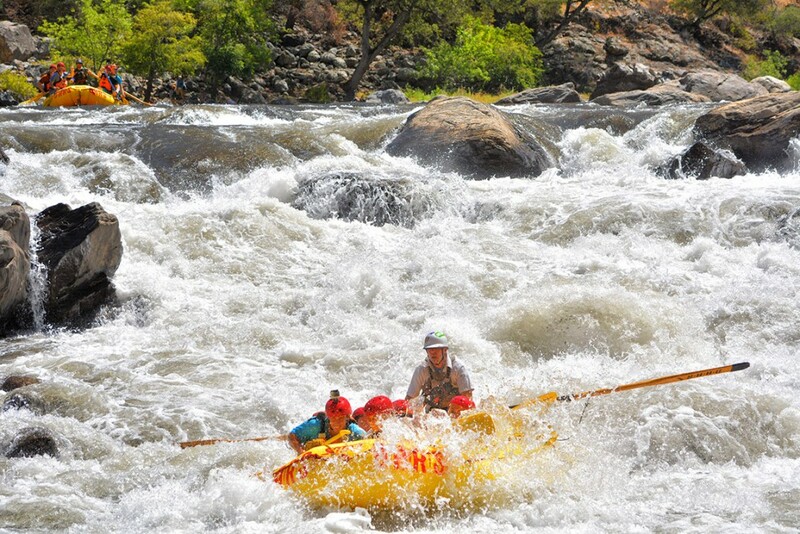 Mushroom, Cherry Creek/Upper Tuolumne – If you want to experience some of the hardest commercially rafted whitewater in the country, let alone California, Cherry Creek is it. On average, the river drops 110 feet per mile, and in some stretches, up to 200 feet per mile. That’s some seriously steep whitewater. And speaking of steep, infamous Class V Mushroom Rapid, which most guides consider the hardest rapid of the entire run, descends some 30 vertical feet in just 50 yards as it tumbles over ledges and into holes. And with a must-make move before a big hole at the bottom, it’s as gnarly as it sounds. Suicide Falls, Kaweah River – When spring snowmelt is at its peak, the rugged Kaweah River just outside of Sequoia National Park, has a reputation for its fast and furious Class IV+ whitewater. Among the non-stop thrills this steep river canyon offers, is Suicide Falls, which gets its ominous and threatening name from a river-wide ledge. And if this wasn’t enough of a challenge for paddlers, at the bottom of the big drop is a large recirculating hole that likes to unintentionally surf boats. 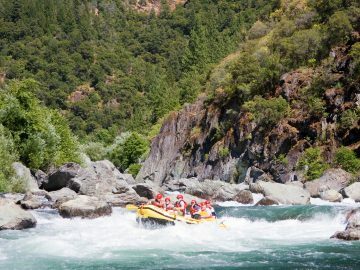 Tunnel Chute, Middle Fork of the American River – We’ve got the Gold Rush to thank for one of California’s most exciting rapids. While trying to uncover a lucrative gold site in the late 1860s, miners blasted through a granite mountainside along the Middle Fork of the American River, leaving behind famous Tunnel Chute. 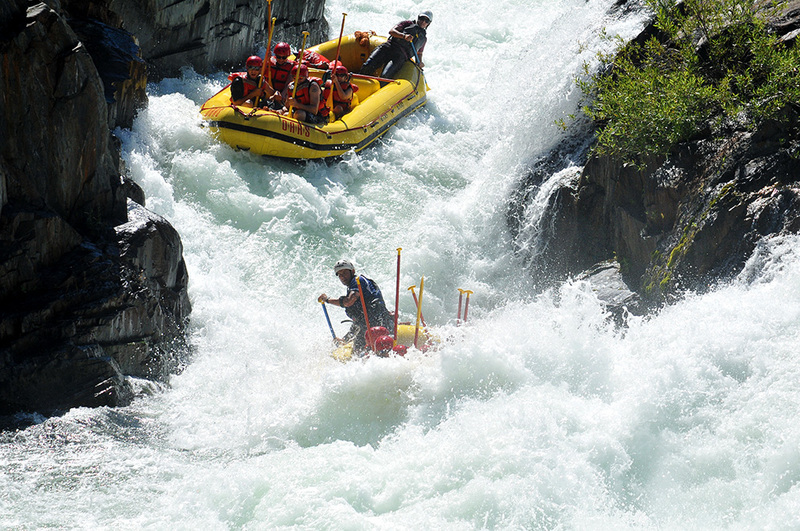 As you enter into this man-made rapid, waterfalls careen into the main chute on your left. After a hefty drop, you’re whisked through a 90-foot-long tunnel before being spit out on the other side. On any given run, guides just hope they’re upright at the bottom. Maytag, North Fork Yuba – A booming and thunderous Class V, Maytag is the crème de la crème on the Goodyear’s Bar section of the North Fork Yuba. As the river narrows, boats are forced into a big recirculating hole—a massive raft-swallowing hole that there’s no way around. 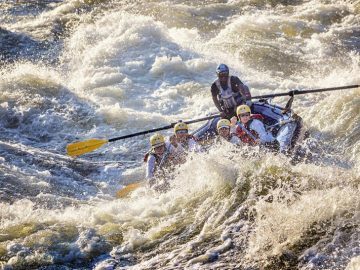 Luckily, the rapid is easily scouted and makes for quite an entertaining show as guides (some better than others) try to maneuver through this wild rapid. And hey, it’s all part of the fun. If you’re not going to run this one, you might as well not even show up at all. 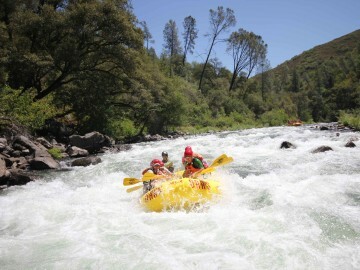 Beginner’s Luck, North Fork Stanislaus River – If you can catch the elusive North Fork Stanislaus at runnable flows—there’s usually a brief window in April—its crystal clear turquoise waters offer a little slice of whitewater bliss. 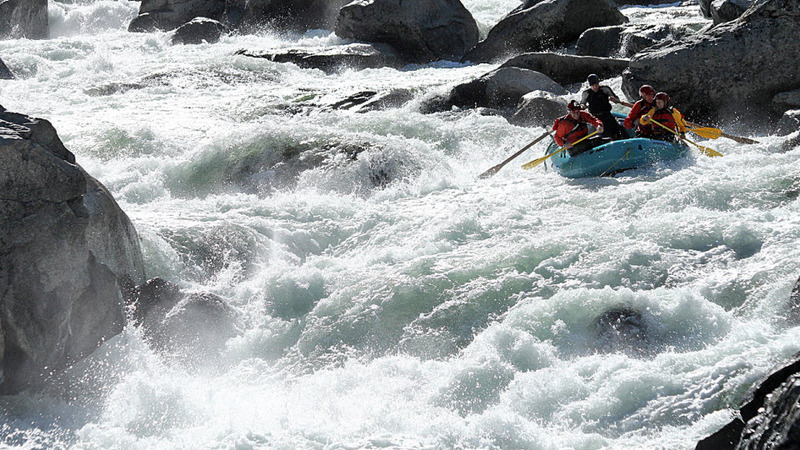 But there’s no warming up on this feisty stretch of Class IV+ whitewater. The first rapid of the day, just 100-yards from the put-in, is Beginner’s Luck. And if you’re lucky, you’ll stay in the raft. Right out of the gate, this Class IV rapid challenges paddlers with multiple staircase drops, holes and shallow ledges. And with Body Slam waiting for swimmers just downstream, it’s the most consequential rapid on the whole run. How’s that for a wake-up call? Staircase, North Fork American – With many steep drops and boulder mazes, the Class IV-V North Fork of the American River is technical all around. And as guides near the end of 9.5 miles of challenging whitewater, they’re ready to let out a big sigh of relief…after Staircase, that is. The last big rapid of the day, and arguably the most vertical, Class IV+ Staircase is full of drops, big waves, and huge boulders that take some serious maneuvering. It can be a tricky run and is well-known for wrapping and even flipping rafts. Ned’s Gulch, Merced River – Flowing straight from Yosemite Valley, the Merced River offers rollicking, non-stop whitewater during the spring. But it’s unassuming Ned’s Gulch that gets notorious cred…for being a boat flipper. At high water this Class IV staircase rapid is full of holes that deliver huge cresting waves at an unexpected intensity that catches many paddlers off guard. Those in the know say it doesn’t take much to get off your line and upside down. Oh yeah, and since it’s right along one of the main roads into Yosemite, there are usually spectators waiting to witness the carnage. Come on, you’d watch too. Freight Train, California Salmon River –The free-flowing Cal Salmon River is as much scenic as it is exhilarating. 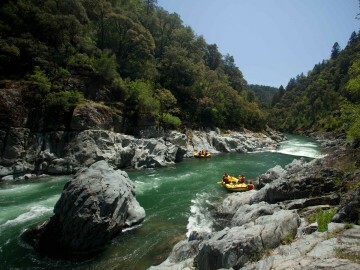 Considered by many to be one of the most challenging rivers in California, the Cal Salmon’s narrow canyon walls and churning snowmelt waters create a series of memorable Class IV-V rapids, including Freight Train. Not only is it long, steep and intense, this boulder-strewn Class V rapid ends in a narrow chute. There’s only one thing guaranteed if you’re running Freight Train–you’ll never forget it. 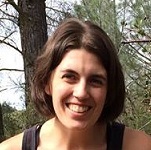 Special thanks to Natalie Haber, Tom Patoff and Jessica Wallstrom from the OARS. Crew for their input on this list. Which notorious California rapids would you add? Chime in below.